Could someone please post a piece involving the use of jungle green? I haven't seen the actual color or a piece that I knew for sure used jungle green. Pieces using lots of other discontinued colors would be cool, too. Idiot? Please, oh, pretty please post a picture of a piece involving jungle green? look at ANY and ALL peices by Aves UW, and you will see jungle green. i ga-ron-tee. Ced in Philly with a jungle green filled piece. Anyone got any pieces involving icy grape... or even a pic of just the can?! Thanks yous guys! I as well have been wanting to see the mysterious color. I have to say, though it is pretty cool, it is overrated. I was expecting something a little less, ummmm, neon. jungle is miles thicker than apple green even though they look very similar. jungle's one of my favorites - can't forget terracota, rasberry and baby blue. Damn, I LOVE that color!!! It has exceeded my expectations. 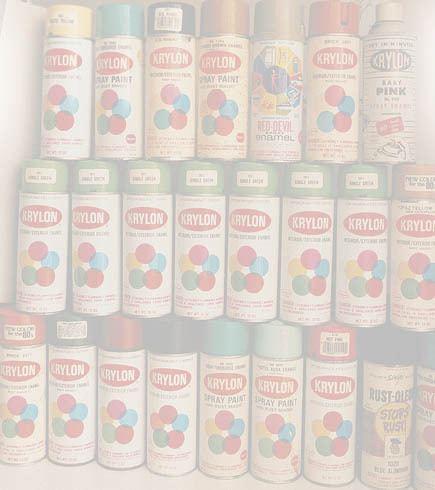 I've been thinking about this lately: It seems like the spray paint companies produced much more vivid, delicious colors years ago than than they do today.